How a whole-foods, plant-based diet—free of all meat and animal products—has propelled one runner to ultramarathon greatness. 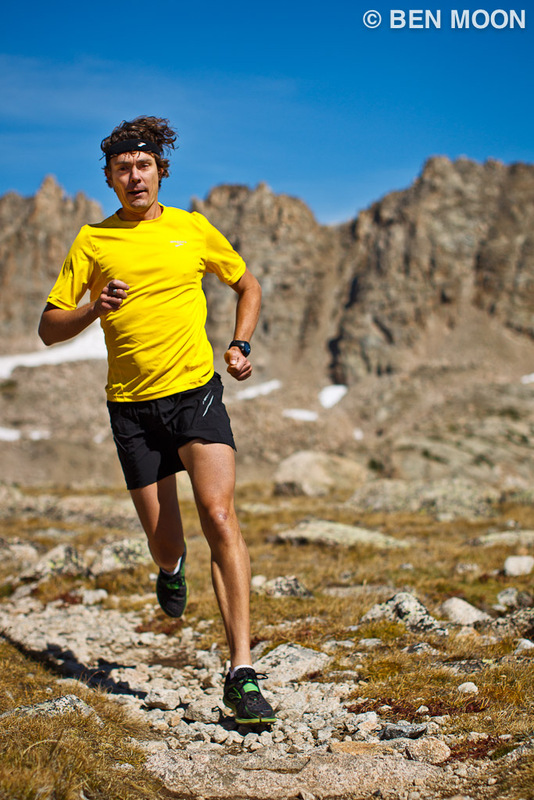 FOR NEARLY TWO DECADES, SCOTT JUREK has been a dominant force in the rarefied sport of ultrarunning. And perhaps just as impressive as his many victories, including seven consecutive wins at the Western States 100-Mile Endurance Run, is that he achieved these feats on an entirely plant-based diet. 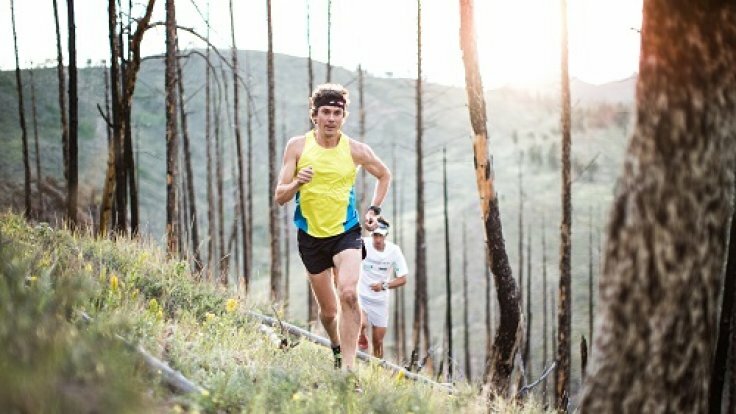 In this excerpt from his new memoir, Eat & Run: My Unlikely Journey to Ultramarathon Greatness, Jurek shares how turning vegan transformed his life, and how his diet might help your running, too. When I was 10, my dad bought me a.22 caliber rifle with a polished walnut handle and a barrel made from burnished steel. His instructions were simple: If I wounded an animal, I killed it. If I killed it, I skinned, gutted, and ate it. By the time I was in sixth grade, I could yank a batch of walleye from a lake after lunch, clean them, roll them in bread crumbs, fry them in butter, and devour them before sunset. I knew how to hold an egg between my forefinger and pinky so I could break it with one hand. I could cook a pot roast, make a mean tuna noodle casserole, and slap together bag lunches for my little brother and sister before we headed to school. My mother roasted pork, baked chicken, and broiled steak. I loved Campbell’s Chicken Noodle Soup, and nothing made me happier than mounds of butter and piles of salt slathered and sprinkled on the mashed potatoes my mom made. When it came to vegetables, I had strong and—with the exception of canned corn—uniform feelings. I hated them. No one would have picked me to be the kid who grew up to expound the benefits of a plant-based diet. We lived at the end of a dead-end street at the edge of the woods, five miles from Proctor, Minnesota, which was another nine miles from Duluth, which was 150 miles from Minneapolis. The kids on the east side of Duluth flew in jets to family vacations. They were the sons and daughters of doctors and lawyers. We called them “cake-eaters.” The kids on the west side—where I lived—were the tough rednecks. Some of us were, anyway. I was skinny and had high blood pressure and scoliosis. I got good grades, and my mom made me wear button-down shirts. I liked sports, but avoided teams in middle school because the thought of getting on a bus with a whole lot of other kids scared me. That was partly because when I was on the school bus, kids called me Pee-wee and pushed and shoved me. One kid spit on me. Others challenged me to fights. Bullies didn’t tend to join high school cross-country ski teams, and there was a lot of technique involved, so the sport seemed suited for someone who studied hard, like me. I joined my sophomore year, and by my junior year I was ranked 15th in the state. That summer, I was invited to attend the Team Birkie Ski Camp in Wisconsin, for the best high school cross-country skiers in the state. That’s where I started my very slow transformation from serious carnivore into vegetarian, then vegan. (I actually prefer “plant-based” to vegan, because to a lot of people “vegan” sounds like “crazy.”) The camp served vegetable lasagna, all kinds of salads, and whole-wheat bread. At the time, anything more than iceberg lettuce with a few cucumbers and creamy ranch dressing seemed bold if not amazingly sophisticated. I didn’t have any choice, so I ate it. And I couldn’t believe how good it tasted. Winter of my senior year, I was ranked ninth in the state, and I joined my ski team buddy Ben Deneen and his step-dad, Ben Croft, on a ski trip. They brought coolers and bags full of wholewheat pasta and spinach salads and black-bean chili. We stopped at the house of a friend named Kurt Wulff, and his mom served us homemade granola made with soy flour, wheat germ, and barley flakes. I asked her for the recipe, and when I got home I made it myself. I wasn’t eating granola and salads because I wanted to make a better world (that would come later), or be nice to cows. Even today, if I had to, I’d kill and eat an animal if I needed to survive. I was just noticing that the more I ate “hippie food,” the stronger I felt. On the mornings before high school races, I began to eat a big bowl of brown rice I had made the night before. I hid the rice as I ate it because I knew the grief I’d get if anyone saw. But I was still an athlete, and I was still a meat eater, and to tell the truth, I couldn’t imagine being the former without the latter. It would take different people to help me see that not only could a plant-based diet sustain me, but it could actually make me a faster, more powerful athlete. One of the people to nudge me on the path to veganism was a girl I met at McDonald’s. I was ordering two McChicken sandwiches. She wanted a Coke. She rode her bike everywhere, smiled a lot, and wore Birkenstocks. It was 1995 and I was a 21-year-old junior at the College of St. Scholastica, studying for a degree in physical therapy. She was an 18-year-old freshman at the University of Minnesota Duluth, almost exclusively a vegetarian. I had stopped skiing and taken up competitive long-distance running. I’d finished one marathon and placed second in the Minnesota Voyageur, a 50-mile ultramarathon. I spent that spring of 1995 training harder than I had ever trained before. I tore up ground. I assaulted hills, attacked trails—the more weed-choked the better. I ran through rain and snow and blistering heat. I ran with purpose. I wanted to win. I ate with purpose, too—at least, what seemed like purpose then. I began to put Havarti cheese on my sandwiches, instead of summer sausage. I cut down (a bit) on breakfast sausage biscuits. But if I was going to run and win, I needed lots of protein. And everything I had been taught said that when it came to protein, eating animals was the most efficient way to get it. So I kept shoving down two McChicken sandwiches and a large order of fries (as well as the occasional Big Mac) at least four times a week. Plus, I loved to grill. My roommate and I spent many a night on our back porch, feet on the banister, barbecued steaks, brats, or burgers in our mitts, downing a tin of Planters Cheez Balls and a box of malted milk balls in a single sitting. My nickname was the Grill Master. Like it or not, I was still a Minnesota redneck, a hunter and fisherman. I was still my father’s son. When Leah—the blond in Birkenstocks—would show up with organic apples or milk, and I would see the price tag, I’d yell, “You paid how much for that?! What’s in it, gold dust? !” I thought I was being sensible. I thought I was eating healthy. I knew I was training like a maniac. And when the day of the Minnesota Voyageur finally arrived in July 1995, I shot off the starting line. I swallowed that course. No one was going to beat me. But somebody did. I finished in second place—again. Somehow, I would have to run faster. But I couldn’t train harder. I couldn’t run harder. What was the secret? The next year, the summer of 1996, a sick old man told me part of the secret. He had just shuffled back from his physical therapy session and was slowly climbing back into his hospital bed. With each painful step he took, I could see his frustration, feel his anger. It was my senior year at St. Scholastica, and I was working an internship for my degree at a hospital in Ashland, Wisconsin. I was supposed to be helping him, and we both knew I was failing. The old man climbed into bed, and he looked at his lunch tray waiting for him—Salisbury steak drenched in something brown and congealed, lumpy potatoes, iridescent-looking canned peas. His expression said it might as well have been a tray of rocks. He didn’t say anything, but he might as well have been shouting. 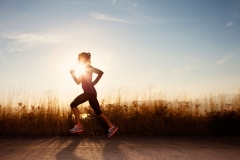 As an athlete, I was ostensibly dedicated to health, which would lead to optimal performance. As a physical therapist, I was supposed to be helping people with their bodies, but I didn’t spend a second focusing on their diet. Was it a coincidence that sick people were being served starchy, crappy food? If a balanced diet could make you faster, could a bad diet make you sick? The old man wasn’t talking, but I could hear the secret he was telling me. What we eat is a matter of life and death. Food is who we are. I thought a lot about food, and diet, and athletic performance that summer. I was in a checkout line when I picked up a magazine to pass the time. There was an article about a guy named Dr. Andrew Weil and one of his books, Spontaneous Healing. He said the human body possesses an enormous capacity to take care of itself as long as one took care of it by feeding it well and not putting toxins in it. I learned that the standard Western diet—for a long time my diet—rich in animal products, refined carbohydrates, and processed food, has been linked to three of the most common causes of death in our country: heart disease, cancer, and stroke. I read that diabetes affects nearly nine percent of Americans, and that type 2 diabetes, once nearly unheard of in children, is on the rise, bringing with it a host of complications, such as kidney failure, blindness, and amputations. I didn’t realize it then, but that summer marked the beginning of my lifelong commitment to learning about food, to eating better, and to living more consciously. Cutting out processed foods and refined carbohydrates was not difficult. Meat and dairy were other matters. I didn’t want to consume either—because of stress to my kidneys, potential loss of calcium, possibly increased risk of prostate cancer, stroke, and heart disease, not to mention the chemicals and hormones injected into the country’s food supply and the environmental degradation caused by cattle farms—but I was getting more serious about running, wondering if I had what it took to compete on a national level. And I was even more conscious that I still needed fuel to burn. I knew that a plant-based diet meant more fiber, which sped food through the digestive tract, minimizing the impact of toxins. The same diet also meant more vitamins and minerals; more substances like lycopene, lutein, and beta-carotene, which help protect against disease. I knew it meant fewer refined carbohydrates and trans fats, both implicated in heart disease and other ailments. But could a diet like that provide enough protein for someone who wanted to be an elite athlete? I hedged my bets. The percentage of what I ate that came from animals went way down, but I didn’t cut it out completely. And that summer of 1996, on my third try, I won the Voyageur. I didn’t run harder. I had been right: I couldn’t run harder. But I could eat smarter. I could live smarter. I knew I could keep going when others stopped. I knew I had good legs and good lungs. I wasn’t just a runner now; I was a racer. And I was a mindful eater. But my victory was in a state competition, at 50 miles. What about the big races, the 100-milers that drew runners from not just other states but other countries? Everything I read about diet and health told me a meatless diet was healthiest, but I had to figure out a way to get enough protein, to marry my healthy eating with long-distance running. Combining vegetarian protein sources like legumes and grains every meal—until recently an article of faith among vegetarians—seemed too labor intensive. But I learned that our bodies pool the amino acids from the foods that we eat over the course of the day. I didn’t have to sit down and do the math every time I ate. I also learned that even the conservative Academy of Nutrition and Dietetics, the largest organization of dietary professionals in the world, has stated: “Appropriately planned vegetarian diets, including total vegetarian or vegan diets, are healthful, nutritionally adequate, and may provide health benefits in the prevention and treatment of certain diseases. Well-planned vegetarian diets are appropriate for individuals during all stages of the life cycle, including pregnancy, lactation, infancy, childhood, and adolescence, and for athletes.” Those last two words were music to my almost-vegetarian ultrarunner’s ears. As long as I ate a varied whole-foods diet with adequate caloric intake, I would get enough complete protein. At least in theory. I spent the next two to three years testing the theory. In the spring of ’97, I cut out meat. I won the Voyageur again. Then fish. I won the Voyageur a third time, and placed second in my first 100-miler, facing ultrarunning’s top competitors. When I finally went vegan in 1999, I lost a layer of fat—the layer that came with eating the cookies and cakes and cheese pizza that so many omnivores and even vegetarians gulp down. I learned that I could eat more, enjoy it more (fruit tasted sweeter, vegetables crunchier and more flavorful), and still get leaner than I had ever been in my life. I started on more whole grains and legumes. Muscles I didn’t even know I had popped out. My blood pressure and triglyceride levels dropped to all-time lows, my HDL, “good” cholesterol, shot up to an all-time high. I had virtually no joint inflammation, even after miles of pounding trails and roads, and on the rare occasion I sprained my ankle or fell and whacked my elbow or knee, the soreness left faster than it ever had before. I was running in the morning, working eight-to 10-hour days, then running 10 miles in the evening—yet I woke up with more energy every day. Was it the food I was adding—the vitamins and minerals? Or was it what I wasn’t eating, the concentrated carcinogens, excess protein, refined carbohydrates, trans fats? Was the sum of a plant-based diet greater than its parts? I wasn’t sure of the answer, but I had never felt better. The Western States 100 was coming up. Could I compete? Could I win? If so, how many records could I claim with my newfound secret? I aimed to find out.